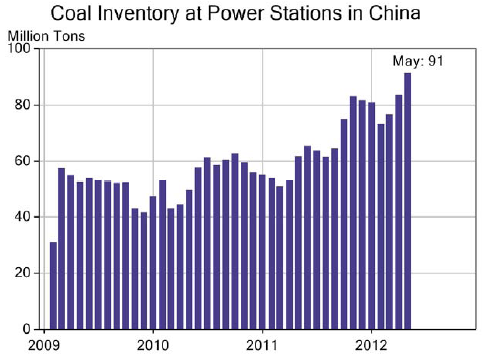 This weekend we discussed the massive buildup of thermal coal inventories at China's key ports. The reason for the buildup is the reduction in power usage (driven by slower economic activity) which increased coal stocks at China's power plants. We now have the data that demonstrates this "downstream" inventory increase.